1. 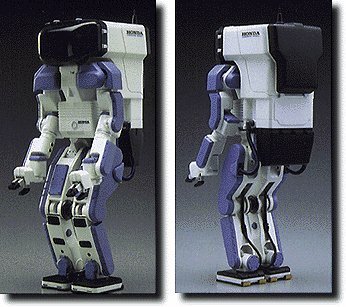 Here is a really nice plastic model of the Honda Humanoid Robot P2. It comes complete with assembly instructions in Japanese (of course). They now have a clear plastic version also. You can also try their search page. 2. 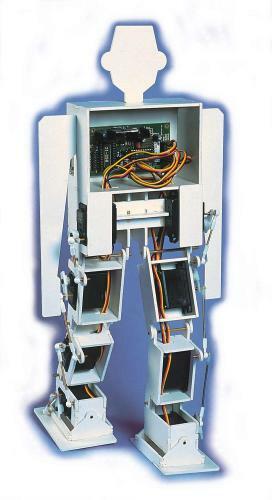 Some guys in the UK are offering a Walking Robot Kit called Robbie. 3. Robots in the news. 4. Robot contests and competitions. 7. A survey of robotic juggling! 8. Motion in human joints - limits of. 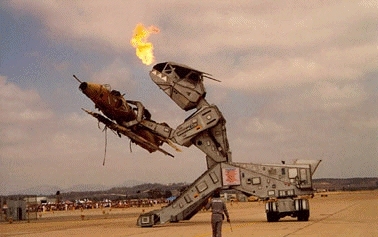 pix of the robot picking up cars and even airplanes. 11. "Netrunner" suggested the "Home of Blade Runner"
12. "Netrunner" also suggested the " Blade Runner Movie Webring".